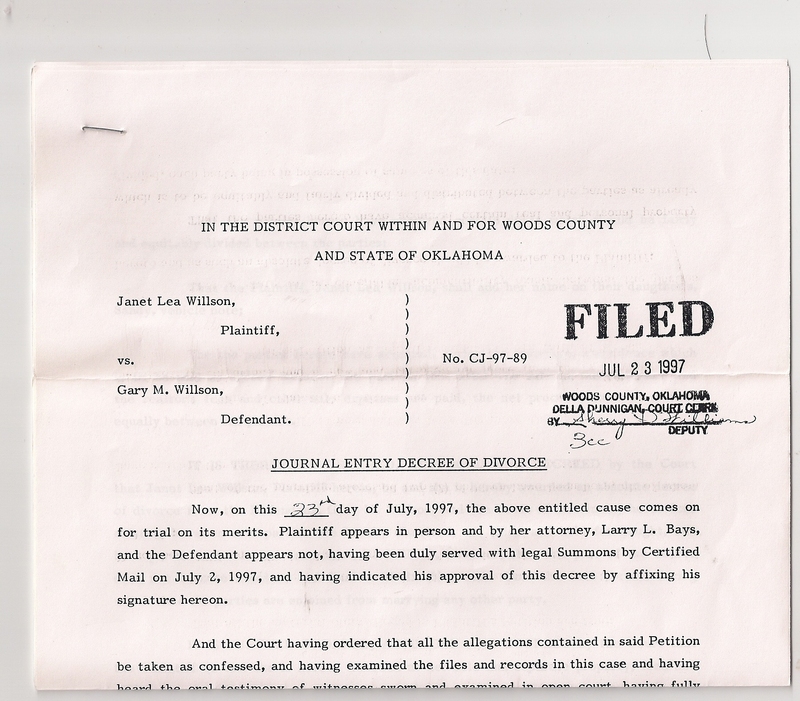 It was July when Gary received a divorce decree to be signed so Jan’s Alva Attorney Larry L Bays could file it with the Woods County District Court. The couple having come to an agreement, Gary not contesting the proceedings, retaining his car and personal possessions, their 21 year journey down the road of life together officially coming to an end. Gary somewhat melancholic questioning the reality of the past events, but concluding it was neither he nor Jan that were the real casualties, but Jan’s mother Helen who had to bear the pain. Helen having to witness to the breakup of her daughter Gayle’s perfect union, now Jan’s public display and divorce. What was heartbreaking for Gary to watch was Helen’s reluctance to attend Wednesday night services from her beloved Apostolic Christian Church. Because he was party to the problem, found him void of a way to console his true feelings for this loving family but through prayer and with time he knew that Helen would once again resumed her normal attendance. Soon after the degree Jan’s Federal Lawsuit filed against Share Medical Center finally came to fruition, she was somewhat disappointed because of her continued employment the court awarding only her $50,000 because of her demotion but nothing for pain and suffering as expected and with her departure the stigma of her actions remained. Gary concluding the road of life sometimes twist and turns, no two directions are ever the same, yet our lessons come from the journey, not the destination, the 56-year-old recalling a Dean Koontz passage from the novel Dark Rivers of the Heart. Gary was saddened when hearing the news, the Lord having called a caring and admired lady from her earthly sentential of life. 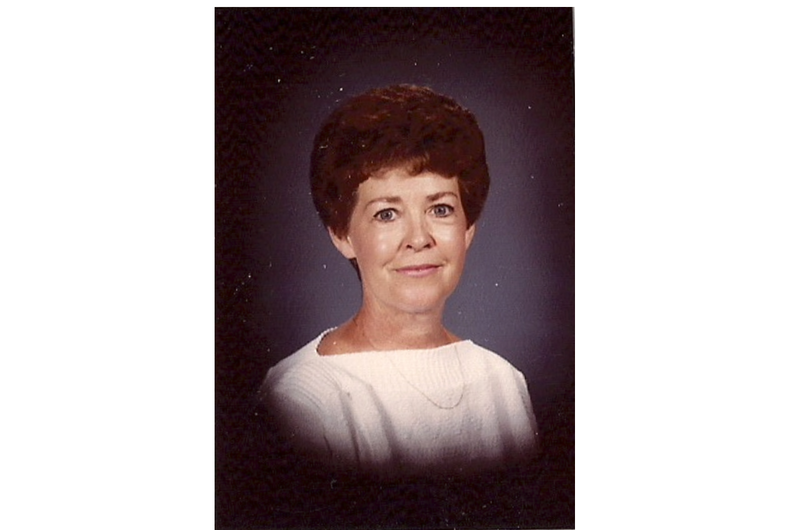 A true patriot of education, a giving person without retribution one could be associated with, had passed, Gary having recognized Norma Feaster as an exemplar of the teaching profession and for the beautiful person she was. Witnessing this mentor to a second grade class of seven-year olds in expanding their horizons, administered with her countenance of character and her reflective striving strength of love. Gary arriving at the cemetery in Hardtner having informed hospital administrator Buck McKinney that he would be attending the Graveside Services for Norma that July 22 afternoon. Gary was taken aback at the number of people, expecting a much larger attendance, especially from the teaching profession. With no school in session during the summer months, he may have been presumptive, Norma having retired from her teaching profession before the sudden illness. Gary immediately perceiving those about him, Norma’s friend Juanita Smith and a few others from the Kiowa School system, Max McGee, Vee Hill, Carol McKinley, but it was the absence of many that was very apparent that very hot afternoon in July, the privilege of having known this lady would forever be treasured. This entry was posted on February 15, 2016 at 6:23 am and is filed under Uncategorized. You can follow any responses to this entry through the RSS 2.0 feed. You can leave a response, or trackback from your own site.